The tumor is composed of small, uniform, round acini and tubular structures separated by scant stroma. 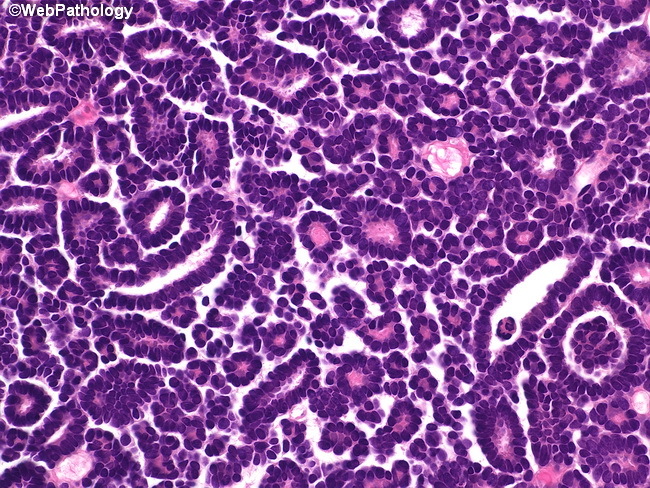 The lining epithelial cells are uniform with hyperchromatic nuclei and have scant cytoplasm. Some cases may show secondary changes such as hemorrhage and cyst formation.